There’s a danger in thinking that the only books useful for churches are the ones written by Christians about church. This point of view is incredibly short sighted. There are all kinds of books out there, written by non-Christians, about all kinds of things. Things that at first glance might have nothing to do with how to run a church. But when you think about it, there’s a lot we can learn from these seemingly unrelated books. I’m always keen to check out, for example, books about business. Books that explore how to organise people, how to run an organisation, how to promote yourself. These are things that are incredibly relevant for someone like me who is involved with running a church. I’m especially interested in books that chuck out the conventional wisdom and present an outside-of-the-box way of thinking. 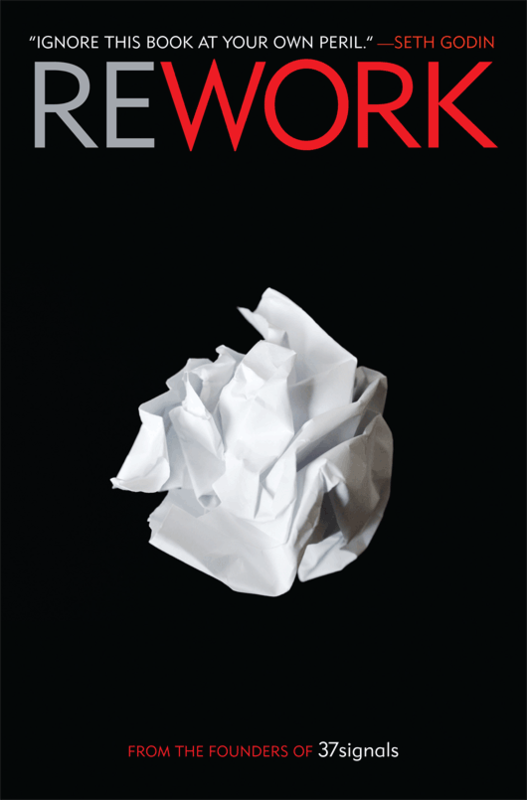 Rework is one of those books.